DO YOU WANT TO EXPERIENCE THE MOST UNIQUE HEALING & BEAUTY OASIS IN THE DESERT, WHILE HELPING SMALL WOMEN AND MINORITY BUSINESS OWNERS FROM OVER 14 COUNTRIES & DIVERSITIES? 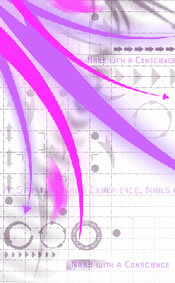 A HARMONY NAIL SPA OPENS THE DOORWAY TO ANOTHER WORLD OF BEAUTY, HEALTH, WELLNESS, COMMUNITY & SMALL BUSINESS DEVELOPMENT. A HARMONY NAIL SPA “A SPA WITH A CONSCIENCE” OFFERS A VARIETY OF BEAUTY SERVICES AND UNIQUE HOLISTIC HEALING TREATMENTS IN THE HEART OF THE CITY, ALL WITHIN A UNIQUE & RELAXING ENVIRONMENT NEVER SEEN BEFORE! EXPERIENCE THE HEALING AND REJUVENATING BENEFITS OF THE MYSTICAL ATMOSPHERE AT A HARMONY NAIL SPA. COME TO “HARMONY HOLLOW” DURING THEIR CLIENT APPRECIATION OPEN HOUSE & STAFF WELCOME PARTY. JOIN A HARMONY NAIL SPA AS THEY INTRODUCE THE KOOL DADS AND GRADS 2008 PROMOTION, & COMMUNITY FUNDRAISER. DURING ITS CLIENT APPRECIATION OPEN HOUSE PARTY & CCBA FUNDRAISER ON MAY 24, 2008 FROM 12P-7P. A HARMONY NAIL SPA INVITES YOU TO THEIR OPEN HOUSE WELCOME PARTY & FUNDRAISER, WHERE THEY WILL BE RELEASING THE “KOOL DADS” APPRECIATION SERIES, & “CREATE YOUR DESTINY” THE GRADUATES SERIES. THEY WILL ALSO OFFER FREE FOOD, DRINK & ENTERTAINMENT FOR THE WHOLE FAMILY. DOOR PRIZE GIVEAWAYS, RAFFLE & DRAWING PROCEEDS WILL BENEFIT THE COMMERCIAL CENTER BUSINESS ASSOCIATION, A NON-PROFIT COMPANY AIMED AT COMMUNITY REDEVELOPMENT REPRESENTING OVER 250 BUSINESS IN THE DISTRICT AT COMMERCIAL CENTER. CCBA HAS RECENTLY SAVED THE ORIGINAL LAS VEGAS COMMERCIAL CENTER FROM BLIGHT & EMINENT DOMAIN IN 2007 BY DONATING OVER $50,000 TO THE IMPROVEMENT OF PUBLIC LAND ON 28 ACRES. PAULA SADLER OWNER/TECHNICIAN OF A HARMONY NAIL SPA, IS PRESIDENT & EXECUTIVE DIRECTOR OF CCBA. SPA SERVICES ARE PERFORMED IN A UNIQUELY THEMED NAIL SPA TREATMENT AREA RESPECTIVELY NAMED “HARMONY HOLLOW” NESTLED IN THE HEART OF THE SPA. A WHIMSICAL COTTAGE IN THE COURTYARD SCENE OVERLOOKING THE EXPANSIVE BIRCH FOREST. YOU WILL RELAX AS SCENTS AND SOUNDS SURROUND & TRANSPORT YOU TO A PLACE OF DEEP HEALING AND REJUVENATION UNDER THEIR GIANT MAGICAL WEEPING EUCALYPTUS TREE. YOU WILL FEEL CALMED & REFRESHED BY THE REJUVENATING ENERGY, WHILE THEIR HIGHLY TRAINED STAFF PERFORM YOUR SERVICE WTH THE UTMOST CARE AND PRECISION. FOR FREE YOU ARE INVITED TO EXPERIENCE A DETOXIFYING & REJUVENATING FOOT SOAK, AND MOISTURE PACK, DURING THE OPEN HOUSE, WITH THEIR SIGNATURE RECIPE MADE RIGHT AT THE SPA. USING A BLEND OF SALTS AND ESSENTIAL OILS TO SOOTHE, FRESHEN, AND CLEANSE. YOUR BODY RESTS IN THE FAMOUS MASSAGING “BUDDHA HAND THRONES” OF HARMONY HOLLOW. Some Reviews made by Clients: Customer Linda K. from Los Angeles “I would say my manicure and pedicure are the best I've ever had! The experience was relaxing, excellent & detailed. I felt welcomed and valued as a customer and would definitely return.” Client Care Specialist Shannon Lewis “I chose to work for A Harmony Nail Spa for its Spiritual Foundation, and I see A Harmony Nail Spa as offering Unique Services”. Clients often say things like, I feel so relaxed, I felt drawn here, Its so beautiful and unique, How did you come up with this Idea? Who is your decorator? A Harmony Nail Spa was introduced in August in 2003, by a then 26-year-old female entrepreneur and nail technician. She saw openings for improvement in service industries and decided to create a beautiful space to service clients the way they should be serviced. AHNS returns to customer service & offers world-class beauty & healing treatments. Owner Paula Sadler is at the forefront of the Commercial Center Beautification project & CCBA business association. Their staff is ready to give you a personal tour of the most unique healing spa in Las Vegas, located in the growing District At Commercial Center “International Village”.